Here is a new interesting tool for teachers. 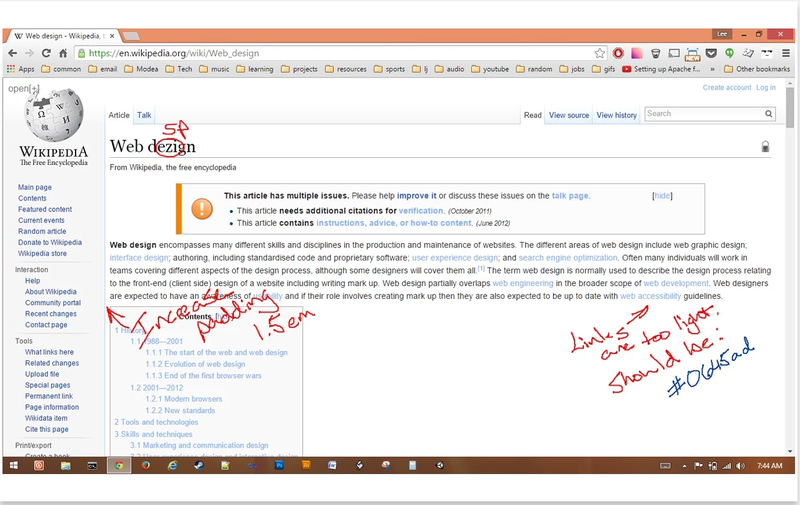 Whiteboard , we discovered via Stephen Gale, is a Chrome app that enables you to draw on top of webpages using things such as a stylus, trackpad, mouse…etc. The app is particularly useful for annotating and illustrating content on a webpage. 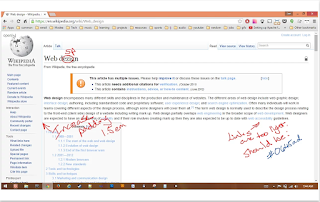 Whiteboard is still in beta phase and as such several useful features are still in the making. These include the ability to save your work in image file, add different shapes and lines to your annotations and many more. For now, you can only change the background settings of a webpage, change its colour and customize its opacity, add lines and draw using different colours, add and customize layers. To start using Whiteboard, install the app on your Chrome, then click on the icon of the app on the menu bar and select ‘Do it’. A menu will be displayed on the leftside of your page that you can use to work on the background, line and layer settings. To delete anything you have drawn on the webpage, click erase or better click on the Whiteboard icon on the menu bar and select ‘Quit it’. Give it a try and see what you think of it.